This week we are saying a sad goodbye to Anne who is stepping down from the Design Team after over 3 years of dedicated service. At "Less is More" the DT comment on more entries than any other challenge and it is indeed a most time consuming undertaking. We are really grateful for all Anne's hard work and super inspiration each week over the last three years. We hope that you will continue to visit her blog to leave a friendly word. Thank you so much Anne, you will be greatly missed! and we have been really fortunate in using stencils and stamps from Shery at Stamplorations (one of our sponsors this month). 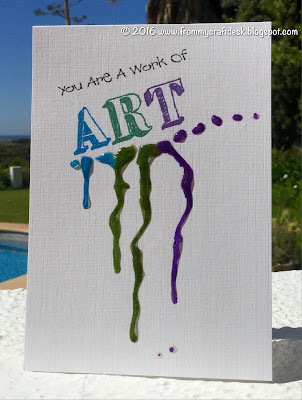 Shery has produced a fab splatter stencil specially for our challenge, which all of us have used in one way or another this week. 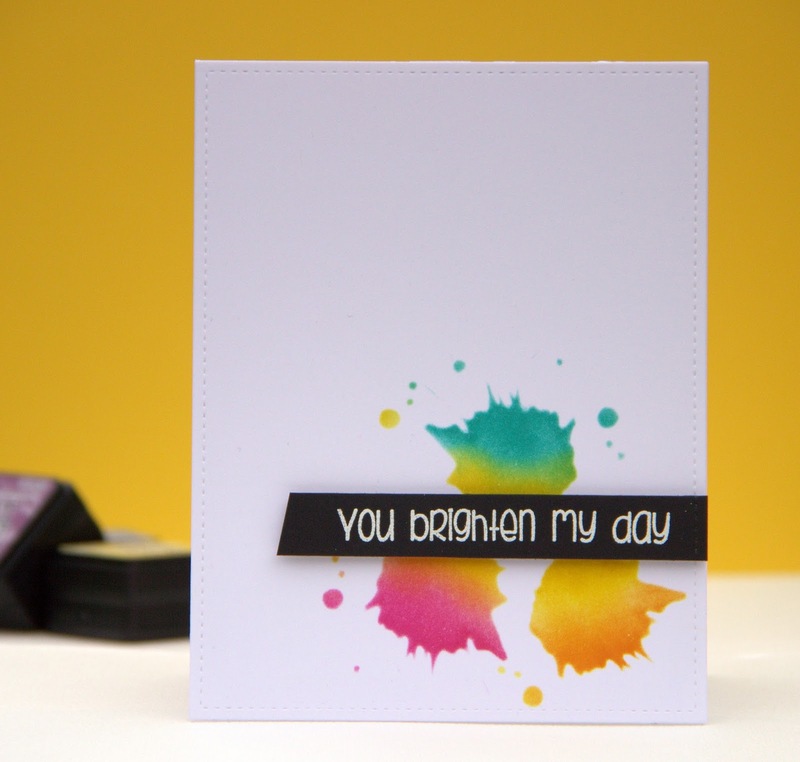 We hope you have fun making lots of splatters, but do remember to leave some of that all important white space and use only minimal embellishments! With the approach of the holiday season, like many of you, our Design Team will be taking their vacations and so although they may manage to get cards made for our challenges, they may find it difficult to comment on entries whilst they are away from home. At this point I'm sure you would like to join in with thanking them for their sterling work in creating such inspirational cards and for all their visits and comments. We're sure that you will understand their absence from your blogs if they are taking a well deserved holiday! Great theme! Anne I will miss seeing your beautiful inspirationcards and personal comments you left eah week; they are always fun and good to read! Ladies thanks for the inspiration again and wish you a sunny weekend! Such a fun theme this week, and amazing inspiration by the DT. Super theme ! Anne, thanks for your support over the years and whatever you do enjoy ! Well, this was fun! Great DT cards as always and a fond farewell to Anne too! Loving all your splat cards. Great challenge again this week. Wunderbare DT-Cards und ein tolles Thema. Mir hat es viel Spaß gemacht, dafür eine Karte zu gestalten!